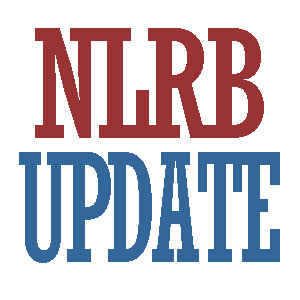 IMPORTANT UPDATE: The requirement to post the NLRB Employee Rights Notice has been postponed again. Do not post the notice on April 30, 2012! Fisher & Phillips went on to state that this means there will be no compulsory NLRB notice-posting on or immediately after April 30th, that even if the NLRB ultimately prevails in this endeavor, it won’t be until year’s end (if ever), and – hopefully – that perhaps this much-belated and ill-conceived “notice of rights” idea will never become effective at all. If you have questions or concerns, please contact HR Advocate. Original post from 04/13/2012: April 30, 2012 is the deadline for posting of the Employee Rights poster, which is required in your place of business to be in compliance with federal regulations with the National Labor Relations Board (NLRB). Original post from 11/26/2011. On December 23, 2011, the National Labor Relations Board postponed the effective date of its rights posting rule from January, 31, 2012 to April 30, 2012 after a suggestion from a U.S. District Court judge for the D.C. Circuit. The National Labor Relations Board (NLRB) had originally postponed the implementation date for its new notice-posting rule by more than two months in order to allow for enhanced education and outreach to employers, particularly those who operate small and medium sized businesses. The previous effective date of the rule was January 31, 2012. HR Advocate Joan Canning details the proper placement of the NLRB Employee Rights poster in your place of business so that you can be in complete compliance with federal regulations to comply with this posting requirement.